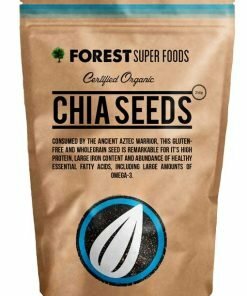 As versatile as they are healthy, Chia seeds offer an abundance of essential fatty acid Omega-3. Omega-3 fatty acids have been proven to fight depression and anxiety, reduce the risk of heart disease and fight inflammation while the seeds’ high amount of iron can eradicate fatigue. Add to smoothies or salads or soak in water for a filling and nutritious pudding.